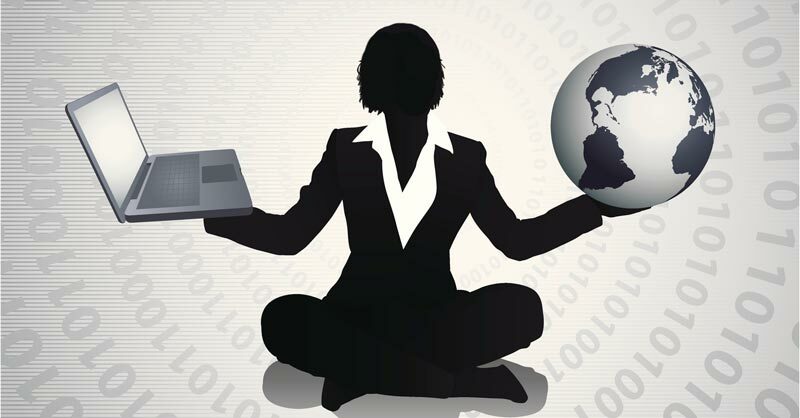 What’s the Best Thing About Being a Woman in Technology? According to country queen Shania Twain, the best thing about being a woman is the prerogative to have a little fun. Unfortunately, Shania doesn’t address the question “What is the best thing about being a woman in tech?” in her smash hit, Man! I Feel like a Woman. So, we decided to extend the question to women all over the world and invite them to get in the action and feel the attraction. What is the best thing about being a woman in technology (select all that apply)? I can think of loads of benefits to being a woman in technology. 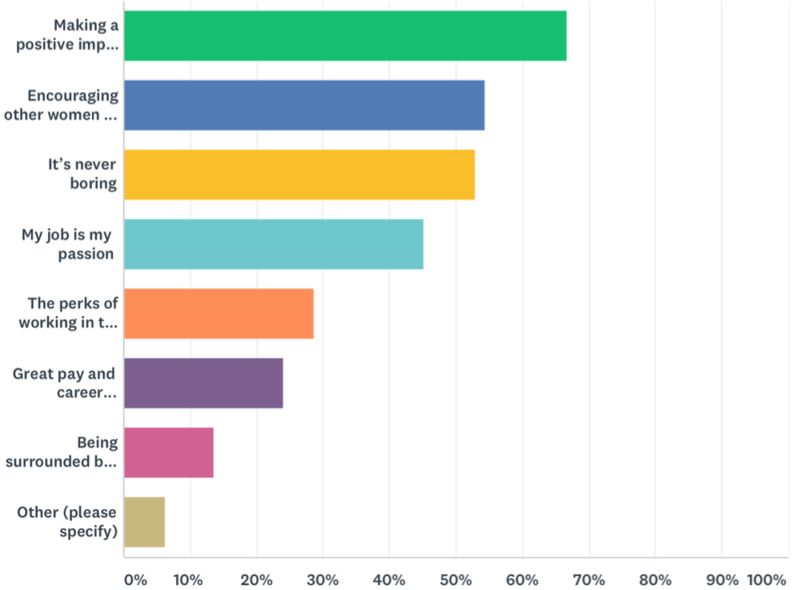 I’ve put a few thoughts together about my favorite survey options, sharing some of my insights into what it is like being a woman in tech. Making a positive impact on my organization/the industry – For all employees, it’s exciting to see that your efforts are moving the needle for your organization. I love seeing the quantifiable results of the projects I work on and knowing that my work is invaluable for the company. It helps me grow my professional confidence. Encouraging other women to get into the industry – Even with all of the women in tech recruitment efforts going on right now, I can sometimes feel like a lone skirt in a sea of trousers. One of my favorite experiences at Ivanti was showing one of our summer interns some of the various pieces of the tech field and laying out the benefits of starting your career in tech. It’s never boring – Seriously, you never run out of things to do! You’ll become a great multi-tasker as you master the art of working on a project while responding to your emails while discussing another project with your coworker while drinking a cup of tea and checking your text messages. The perks of working in tech – There are some fantastic benefits of working in tech, including pay, career advancement opportunities, the chance to work with people all around the world, schedule flexibility, and the ability to work remotely. Being surrounded by other women in tech – I recently moved to Ivanti’s UK office and I absolutely love being able to work with so many talented women in management positions. It’s so exciting having so many female mentors in leadership positions to look up to and learn from. Other – My favorite part of being a woman in tech is empowering other women professionally. I love chatting with my female coworkers and encouraging them to take new opportunities, apply for that promotion, and ask for a raise. A fun project I’ve been working on to empower women is the #MySuperPower campaign. Basically, it’s all about recognizing your own strengths and celebrating the strengths of others. It takes less than 10 minutes to be part of this incredible campaign, you can find the instructions here. 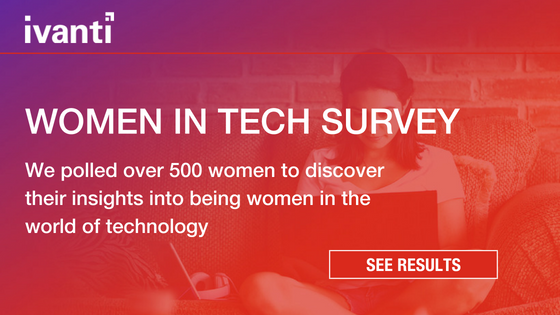 Read more survey insights and get involved in the women in technology conversation by following @TheTechieGirls on Twitter!